Here at BPA, our hearts are saddened greatly by the loss of Doyle M. Hufstedler, III. He was known to family, those close to him, and to those of us who watched him grow up as "Little Doyle". I remember Little Doyle from Boy Scout meetings and events and from my personal relationship with the Hufstedler family. The Hufstedler's were tacitly adopted by me as my second family because they are as close to me as any kin could be. The honor and goodness that runs through the Hufstedlers shone forth in Little Doyle's life. The ever present smile and the contagious happiness could not help but touch all those who he encountered. Just take a look at the photos in this memorial and that fact is evident. Little Doyle was a good friend to my son Chris and brought much joy into his life. Chris would often tell me of the fun times that they had together on Scout outings and how he admired Little Doyle. For that, I was very grateful. Before deploying to Iraq, Little Doyle, his wife Leslie, his mother Kathleen and his dad Big Doyle and uncle Duane visited us here at BPA. The gals spent time together riding horses while we guys spent time on the range training and shooting. 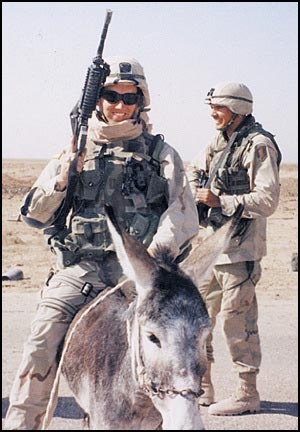 Little Doyle specifically wanted a little extra M-4 training to prepare him for combat. We had a great time and wonderful fellowship. Just before shipping out, Little Doyle called me on the phone and thanked me for the good time he had out here and for the tips he learned. He didn't have to make that call, but he did. He included ME on his "Thank You" list. I was not really surprised at that. After all, that was the type of considerate person he was. He told me that he was amazed by how little the guys in his new outfit new about weapons handling, but that he was going to change all of that. I feel sure he did. That was the last I spoke to him. Doyle, I must now call him that, for he definitely took on the mantle of a grown man, was a man of honor, courage and great generosity. He gave of himself with a smile and unselfishly. He died defending us all, and for that, we should all be grateful. Doyle we miss you and wish you joy in Heaven until we see you there later. God bless and Godspeed! Three days before he was killed in action, Doyle Hufstedler III interrupted his parents’ Sunday school class with a phone call from his duty station in Iraq. It was nighttime in Iraq, but Sunday morning in Abilene. Hufstedler knew it was time for his parents’ class at St. Paul United Methodist Church. He wanted members of his home congregation to pray for him while he was on hazardous duty with the Army’s 1st Infantry Division north of Fallujah in Iraq’s explosive Sunni Triangle. The message was relayed to the minister, the Rev. Steve Chappell, who complied. Normally during the service, prayers are offered for all members of the military, but on that day, Hufstedler was cited by name. Wednesday night, Chappell was teaching a Bible class at his church when he again got a message about Hufstedler. The 1997 Abilene High School graduate and four other soldiers had been killed earlier in the day when a bomb exploded beneath their M-113 armored personnel carrier. Chappell was asked to go to the home of Hufstedler’s parents to try to console them. Again, he complied, but found the request almost impossible to fulfill. "There are just no words to say," Chappell said Thursday. Besides his parents, Kathleen and Doyle Hufstedler Jr., a sister, Sarah, lives in Abilene, where she is a student at McMurry University. Two other sisters live elsewhere. 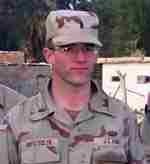 Hufstedler’s wife, Leslie, who is pregnant, lives in Charlotte, N.C.
Hufstedler’s death came almost one year to the day after Abilene’s first Iraq war casualty. On April 2, 2003, Navy Lt. Nathan White, a 1991 Cooper High School graduate, was shot down by a Patriot missile in his F/A-18C Hornet fighter jet. On Thursday, acquaintances of Hufstedler recalled the serious, goal-oriented young man who was living his dream of being a military man. "He knew what he wanted to do from a young age," said Royce Curtis, who was principal of Abilene High School when Hufstedler was a student. 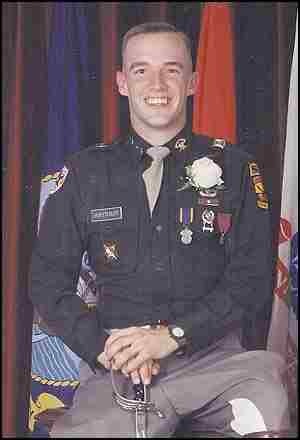 Hufstedler was in JROTC all four years in high school and served as corps commander his senior year. 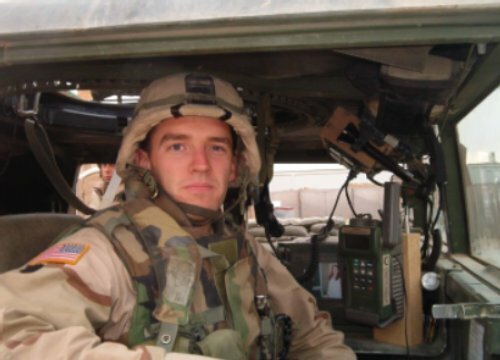 After graduation, Hufstedler pursued his military ambitions by serving in the Corps of Cadets at Texas A&M University, where he earned a bachelor’s degree in 2002. He also achieved Eagle Scout status while a member of a Boy Scout troop sponsored by St. Paul UMC. His troop leader, Richard Jones, remembered that Hufstedler exemplified the Scout oath, which contains the words "duty" and "honor." Hufstedler also was mature enough to appreciate the hours that adult leaders contributed to the Scout program and was considerate enough to thank them for it, Jones said. "I wanted to count him as my son," Jones said. "I was blessed to have known him." At Abilene High School, Hufstedler joined the swim team as a junior, which was later than most of his teammates, said his coach, Beverly Ball, who now coaches at McMurry. He didn’t let the late start keep him from being a top competitor and landing a spot on a relay team. "He really set his goals high, and he went after it," Ball said. That same determination earned Hufstedler and a classmate a trip to Canada in 1995 after they won a local science fair. They competed in the International Science and Engineering Fair in Canada after winning the senior division sweepstakes award locally. At A&M, Hufstedler met the young woman he would later marry. Bill Libby, a McMurry religion professor and ordained United Methodist minister, married the couple in College Station. Libby was teaching his usual class at St. Paul on Sunday morning when a cell phone rang. Kathleen Hufstedler glanced at her phone and the caller identification read, "Doyle." Her son was calling from his duty station in Iraq. No one in the class minded the cell phone interruption, not when it meant hearing from a young man who had made them so proud. Kathleen Hufstedler went outside the room to talk to her son. When she finished, she poked her head back in and told Libby that Doyle wanted to speak to him. Before teaching at McMurry, Libby was an associate pastor at St. Paul, and he is a retired military chaplain. Libby got on the phone and heard Doyle Hufstedler request prayers for himself and school supplies for Iraqi children. Before Hufstedler said goodbye to Libby, he had one more message. Earlier that day, an Iraqi child wearing an American college T-shirt had approached Hufstedler. The child looked at the American solider and said, "Jesus loves you." Hufstedler thought the folks at his home church might want to know.